goodness, faith, meekness, and temperance"
Jesus warns us not to wait for more, but to discover what we can do with what we already have… "even a little goes a long way". Heather’s prayer was for Jesus to help her grow more in faith by using the little she already had. 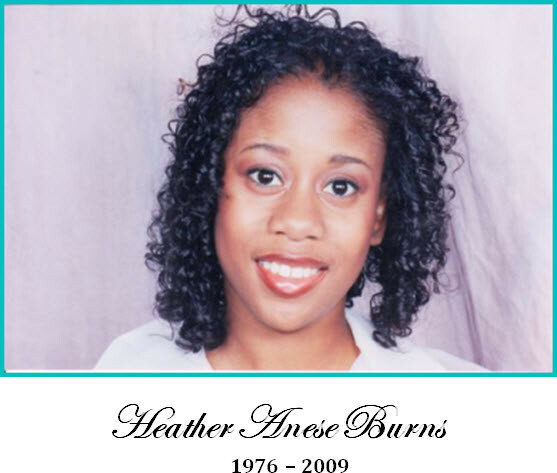 The Heather Burns Memorial Scholarship Fund was created to serve students diagnosed with Sickle Cell Anemia Disease (individuals with Sickle Cell traits are not eligible), students with life threatening diseases, and students with special needs and financial hardships. A 501(c)(3) nonprofit scholarship program, the HBMSF awards several scholarships annually, providing financial assistance to eligible students seeking to further their education.